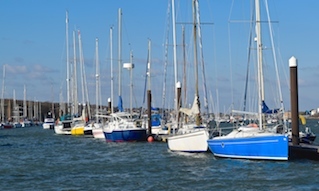 Red Funnel applies for licences for the construction of the new lay-by berth in East Cowes. This application, submitted to Cowes Harbour Commission by Ramboll on behalf of the Red Funnel Group, seeks to secure consent to complete dredging and construction work to establish the new lay-by berth for the planned Red Funnel freight only service. The site is to the north of the current Red Funnel East Cowes berth, as depicted in the image below. The freight ferry is due to enter service in early 2019, and will be in addition to the existing car ferry service that the applicant currently operates. The freight ferry will discharge via the existing linkspan on the main berth at the East Cowes Ferry Terminal when it is not in use by the “Raptor” class car ferries. 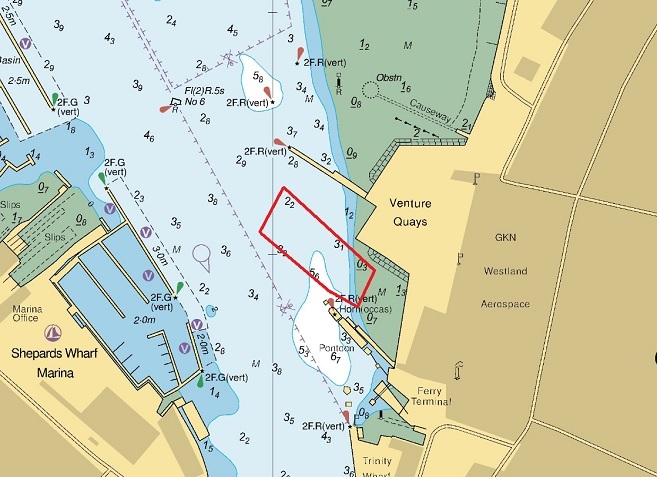 There will be no connection to land/shore access from the proposed lay-by berth. The project includes the construction of four main berthing dolphin structures, and further protection structures to prevent the freight ferry overrunning and causing damage to the existing dock infrastructure. These structures will consist of a maximum of 28 tubular piles in total. Piling will be undertaken using a jack-up crane barge and vibro-piling wherever possible. It is possible that up to 10 temporary piles may be required to be installed to enable the construction of the development. It is envisaged that these would be located within 5m of the dolphin structures and would be removed prior to commissioning of the development. Dredging of a maximum of 5000 m3 will be required to allow the freight ferry to enter the berth at all states of the tide. Dredging to a maximum depth of 1m will be undertaken by back-hoe dredge method in order to minimise sediment re-suspension. Relevant consent applications are in progress with The Crown Estate and the Environment Agency. 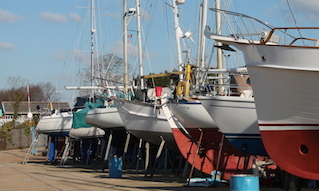 A Marine Licence has been applied for from the Marine Management Organisation for all (construction and disposal) works required. The full application is available on request from the Harbour Office. 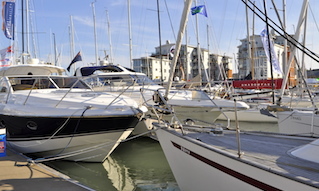 Any comments must be submitted by 1200hrs on the 14th September 2018, in writing to the Harbour Office, Town Quay, Cowes, PO31 7AS. 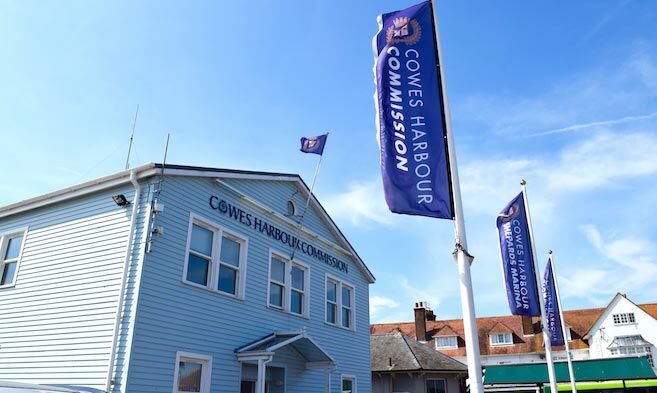 Emails should be submitted to chc@cowes.co.uk.